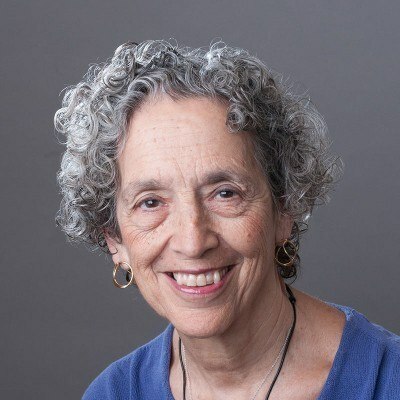 Home AJWS Blog Reversing Hunger Starts With Us. Now. 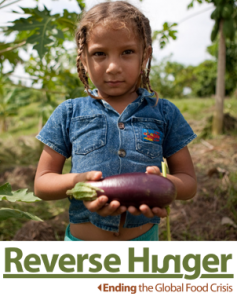 Reversing Hunger Starts With Us. Now. It goes without saying that American Jews are pretty into food—especially during the Jewish holidays. Food plays a central and sensory role in our lives and serves as a map of our history. Meals, recipes and the acts of eating and drinking teach us about who we are, where we live and where we come from. But there’s a crisis on our hands—a global food crisis—and it isn’t only because of food scarcity. Sometimes it’s because of the unintended but tragic consequences of our own government’s policies—policies that we have the power to change, if only we’d do our part. Consider this: The United States is the world’s largest donor of food aid to countries in need. At first blush, this might make us feel proud. After all, the U.S. provides goods to people suffering from famine, natural disaster and conflict. Simply put, food aid is critical. There is no question that it saves lives. But the truth is, food aid could be doing so much more to save lives and support communities sustainably, not just in the short term. By law, 75 percent of our country’s food donations must be transported by American companies—a misguided practice that can actually hurt the people we are trying to help. A bag of dried peas marked “US AID from the American People” took more than six months to reach a grandfather in Ethiopia. His grandchildren starved to death before the shipment of food arrived. Had our government not sent the peas on a 12,000-mile journey by rail, ship and truck but, instead, donated money to purchase food directly from Ethiopian farmers or provided cash vouchers for the grandfather himself to buy food that is often available, but out of financial reach during times of crisis, these children might still be alive. The U.S. Farm Bill, a piece of legislation that will set the direction of our global food policy for the next five years, is up for revision in 2012. It’s time for the American Jewish community to step up to the plate and let our representatives know that we want change. To do this, we’ve launched a new campaign called Reverse Hunger: Ending the Global Food Crisis. You might be asking, “Why is this campaign different from all other campaigns?” Good question! AJWS has been working on food security issues for a long time. We’ve mobilized the American Jewish community to give their money and their time to support hundreds of grassroots organizations in the developing world fighting hunger in their own communities. Now we are doing something different. We’re using our political muscle to tell our government that U.S. agriculture and food policies need to change. We are inviting every member of our community to sign the Jewish Petition for a Just Farm Bill—a collaborative effort among several Jewish organizations—to express our values and our vision. Sign the petition today to tell Congress that ending the global food crisis begins right here, right now. Our partners are doing their part. Now it’s time for us to do ours. These words tell a true and powerful story. It’s up to us to ensure that people around the world can feast from their own harvests and put food on their own tables, for this year and for years to come.